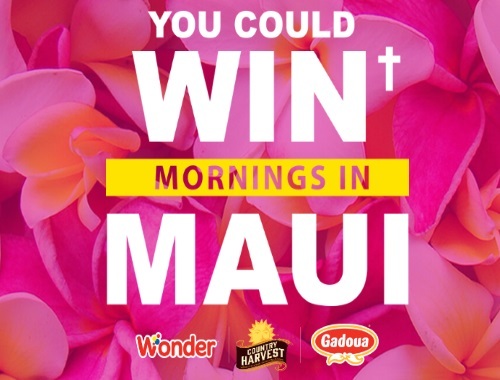 Enter to win a trip for two to Maui Hawaii or secondary prizes of Vintage style toaster. Check out the Wonderbread Facebook page weekly from February 1-22 2018 to get your PIN and get additional pins from participating Country Harvest or Gadoua products. Contest closes March 1, 2018.